The Managing Director of Modi Mining, Tshegofatso Samuel Molefi, outlines the company’s origins and current scope of operations. 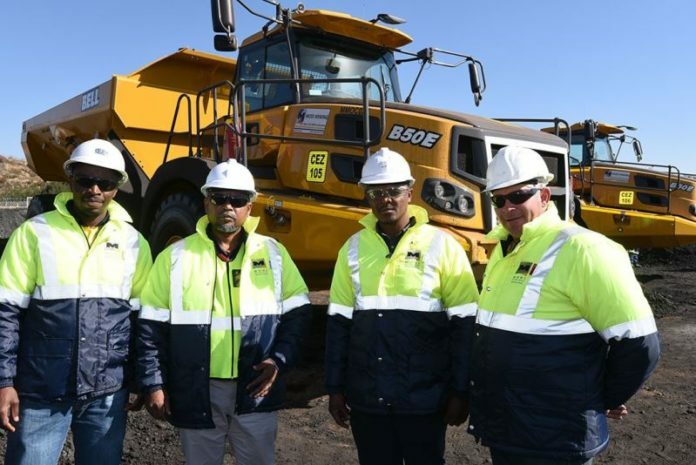 Modi Mining is a 100% black South African-owned company founded and owned by mining engineer and entrepreneur Mr Samuel Molefi and female entrepreneur Ms Christina Motlapele Molefi. The company was established with the sole objective of rendering differentiated contract mining services and to be a supplier of choice to the mining industry. Modi Mining started operations in 2011. 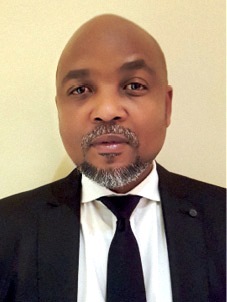 Sam Molefi is a mine engineer and entrepreneur with 22 years mining experience. He started with Gold Fields Academy and qualified as a mine engineer from Wits Technikon. Holding a mine manager’s certificate of competency, he has managed local and international projects, including an explosives manufacturing plant in Mali Republic. Sam provided technical support to Randgold Resources’ mines and done long-term planning with Anglo American Platinum. Other mines includes PTM Maseve, Crocodile River Mine and International Ferro Chrome. We are operational in three provinces. In the North West we service the corporate mining houses in the platinum sector (RBPlats, Impala Platinum and Lonmin). In Mpumalanga Province we are currently servicing South32 in the coal sector. We also manufacture and supply products for mines such as Sibanye Gold, Gold 1 and Harmony Gold, which are based in Gauteng Province. Our vision is to pursue being the most preferred service provider and supplier in the mining industry. Our Mission: Through commitment, continuous improvement, feedback from our clients, skills development, health and safety compliance, and just-in-time delivery, we will achieve our vision. Please give an example of current projects. Open cast mining – top soil, overburden stripping and coal mining. We mine in strips of 100 m x 50 m face. We first strip the top soil as a free dig with excavators and hauling within a distance of 1-3 km using ADTs to expose the second layer of overburden. 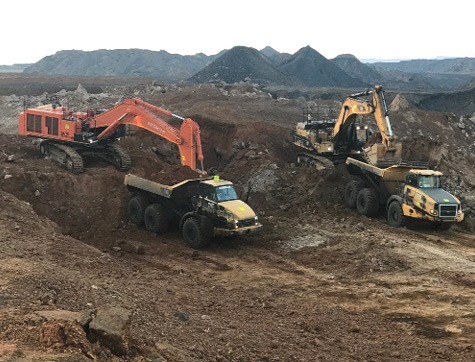 Post blasting of overburden we load and haul it, exposing the coal seam that we mine and stockpile for the client. The same will be repeated where there is mid-burden.